Magma has reached the surface of the inner summit crater. Strombolian activity has formed a new small cone containing a small lava lake in its open vent. This followed a strong increase in volcanic tremor to about 20 times background level starting since Thursday. Glow from the volcano's top has become visible at night. 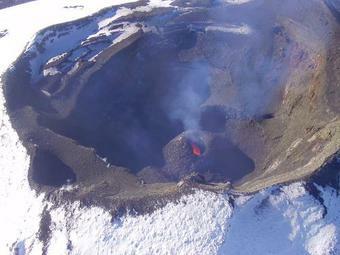 An overflight confirmed the presence of lava inside the deep pit at the summit crater. SERNAGEOMIN raised the alert level of the volcano to yellow. So far, this activity represents a very typical state of the volcano. If it remains like this, it does not pose significant threats to the surroundings unless activity strongly increases, which could result in the generation of lahars (mud flows due to meltwater from the summit) in particular. These could threaten the areas of the towns of Villarrica, Pucón, Curarrehue and Panguipulli. Chile's civil protection ONEMI has issued a pre-alert, still coded as green, as a precaution.  Projecto Observación Visual Volcán Villarrica (POVI) reported that at night during 4-5 February faint incandescence was detected with a near-infrared camera. On 5 February Strombolian explosions ejected tephra several hundred meters high. On 6 February tephra was ejected about 65 m above the crater rim and two consecutive ash emissions were observed. OVDAS-SERNAGEOMIN reported that the Alert Level for Villarrica was raised to Yellow (the second lowest level on a four-color scale) due to the increased seismicity, indicating a fluctuating lava lake and small explosions. Scientists noted a rise in the lava-lake level during an overflight. POVI reported that on the morning of 7 February bombs were ejected from the crater, some almost 5 m in diameter. Later that day the intensity of the explosions decreased and crater incandescence became irregular.